Team USA has qualified for the premier Amputee Soccer event - The Ampute Soccer World Cup tournament. The 24-team tournament will be held in Guadalajara, Mexico this fall. We need your help to get there. In our game field players may have only one leg and must play on forearm crutches. Goal keepers may have two legs, but only one arm. It's fast, physical REAL soccer. We'll be competing against the best teams in the world, including World Champion Russia, World Silver Medalist Angola, European Champion Turkey, as well as other power teams like Brazil, Mexico, Poland and Japan. The US broke into the top third of all teams in the world in the 2014 World Cup. And we're getting better, winning the Bronze in another recent international competition. We play against teams which are supported by their national soccer federations and / or by their governments. Team USA is entirely self-funded. Team members usually pay their own way to train and to represent our country. We've found a prospective supporter who will match your contributions to help Team USA prepare for the World Cup. We need to get ready. Team USA is a tough, skilled, dedicated team which wants to claim its place on the medal stand. Your contributions will go to expanded preparation and training, facilities, food, lodging, travel, uniforms and equipment. And for a mini tournament against England and Haiti here in the US in June. So please make your tax deductible contributions as soon as possible. 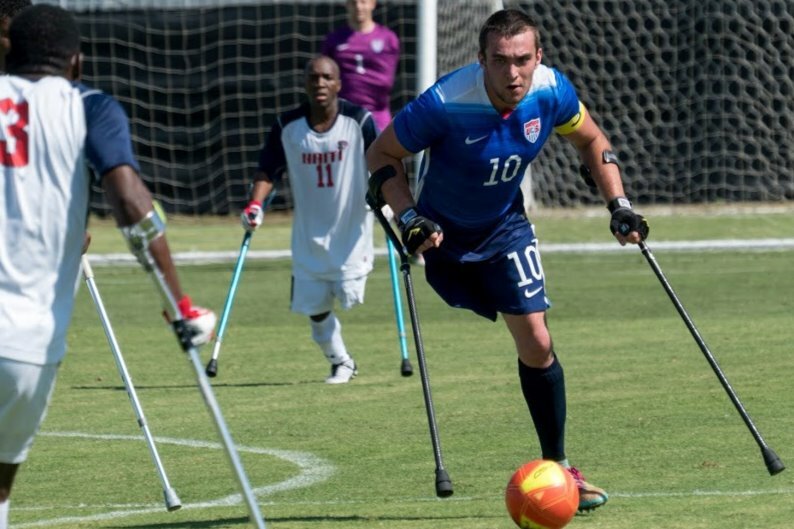 Many thanks to you for helping get Team USA to the Amputee Soccer World Cup this October.